Samuel “Swallrus” Wall here, the new Art Lead for Star Trek Online. The ship team worked tirelessly to give you 9 amazing ships. 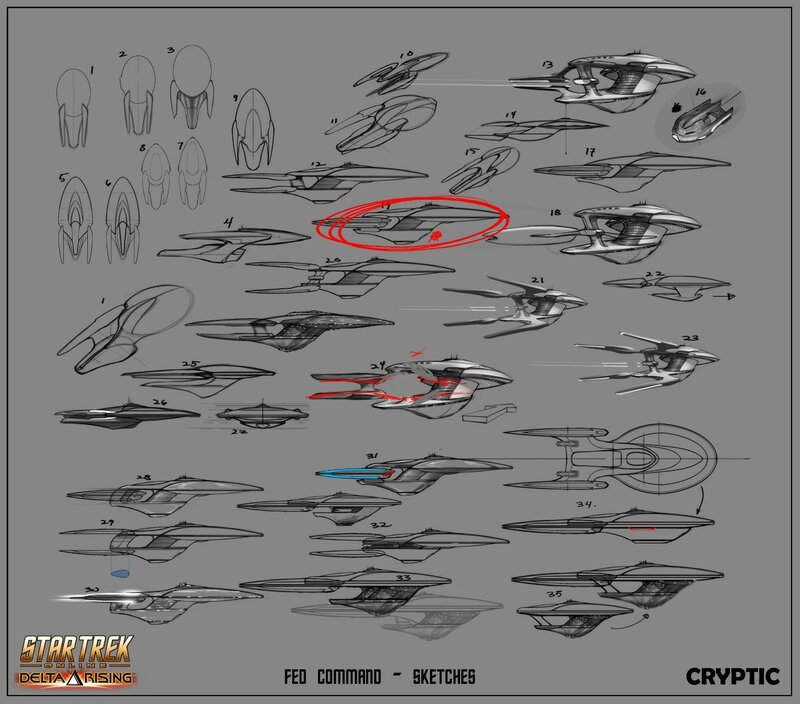 They outdid themselves with the command ships and have made each faction ship have unique interchangeable parts with its counterpart command ships. Any command ship purchased will share parts with their faction’s other command ships. 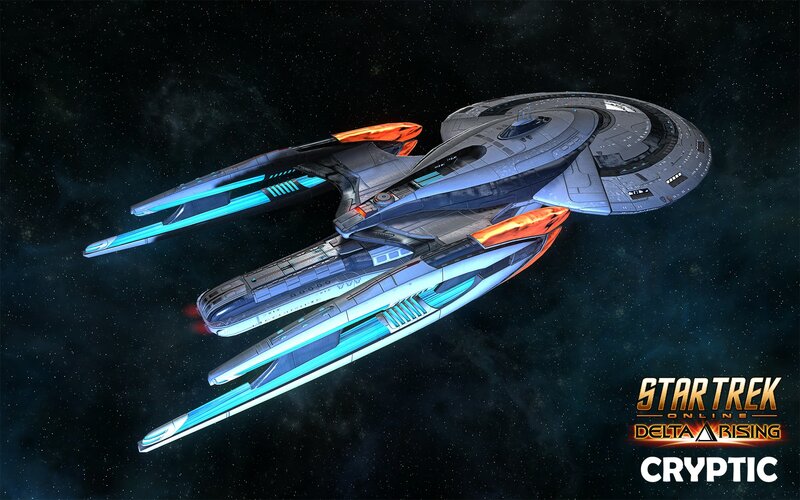 With 3 command ships available, there is an amazing amount of customization if you own all 3! 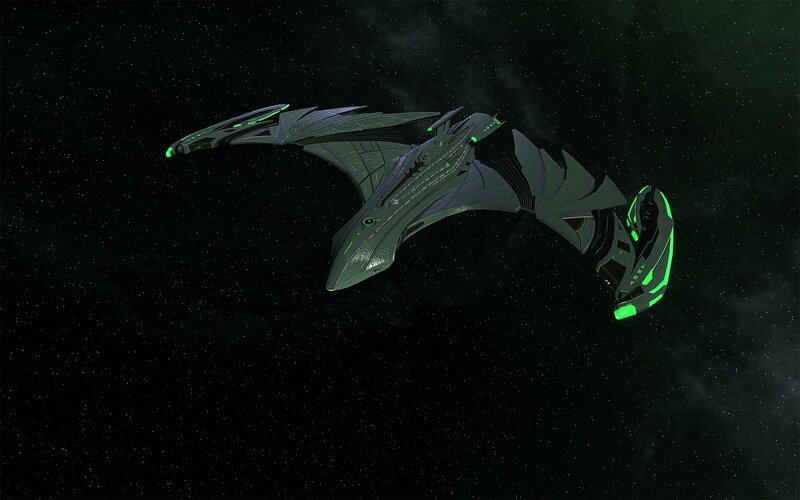 Refer back to the Command Ship Introduction blog for the gif images of how customizable these ships are. 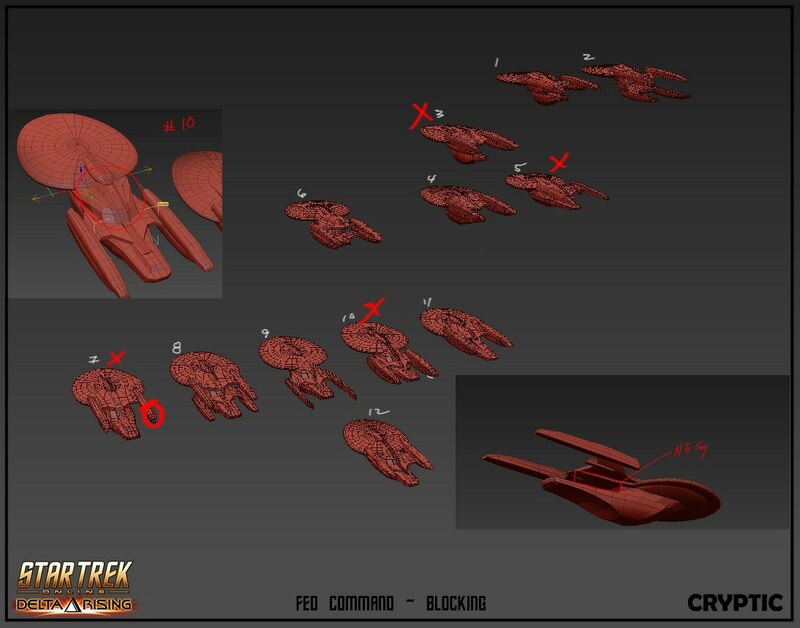 I’m going to take you through the process of how we created the Command Ships for the most recent bundle. When we were planning the features for our Anniversary Update and the discussion shifted towards the command specialization tree, and eventually the concept of command ships I got really excited. 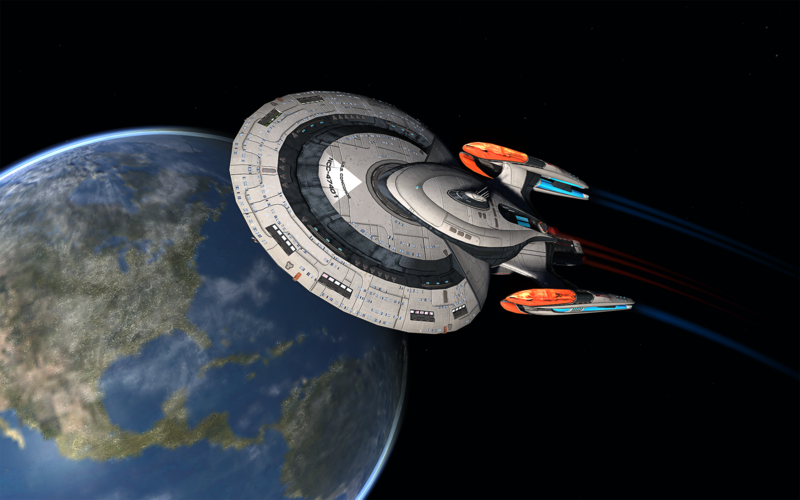 I always look forward to the opportunity to create our own faction style ships in the Star Trek universe. These ships had to be large, had to be imposing, and had to look like they had the mechanical capability of commanding a fleet of ships. 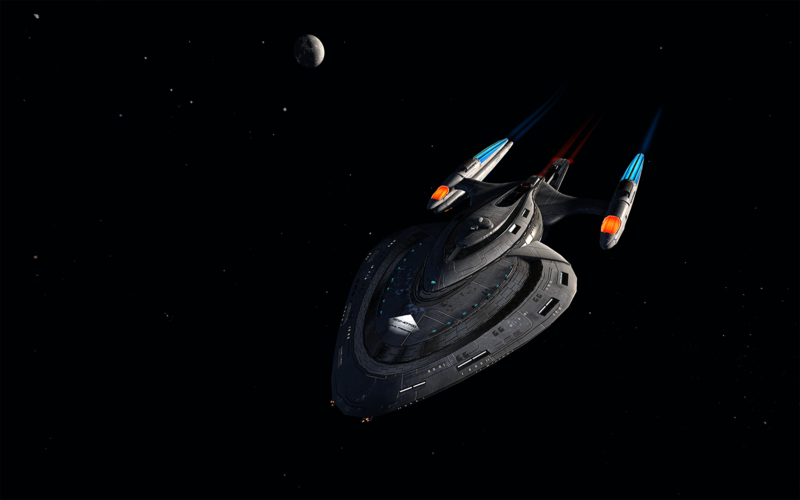 We wanted to really make something unique within the classic Star Trek faction framework, and most importantly we wanted to take the time to provide a wide variety of customization options that would really make the ships in this group feel unique. I’m going to pass this off to Hector who will get into the process of concepting the Federation and Klingon ships. I will jump back in and finish describing the Romulan process. I hope you enjoy this blog as much as we did creating these ships! 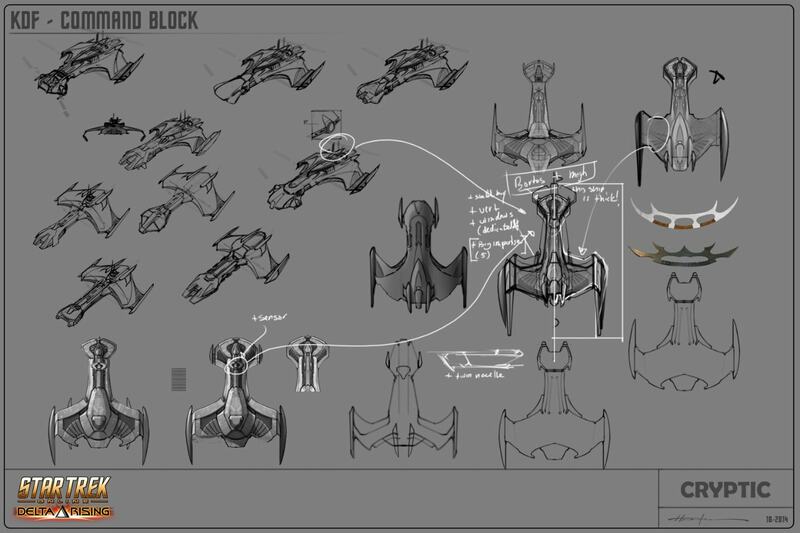 When I was tasked to create the Fed Command ship the only art direction at that moment was “it’s going to look like a flying city” and got handed the ship stats so I could get a clear picture of the vehicle we needed. A new type of ship is always a bit intimidating. 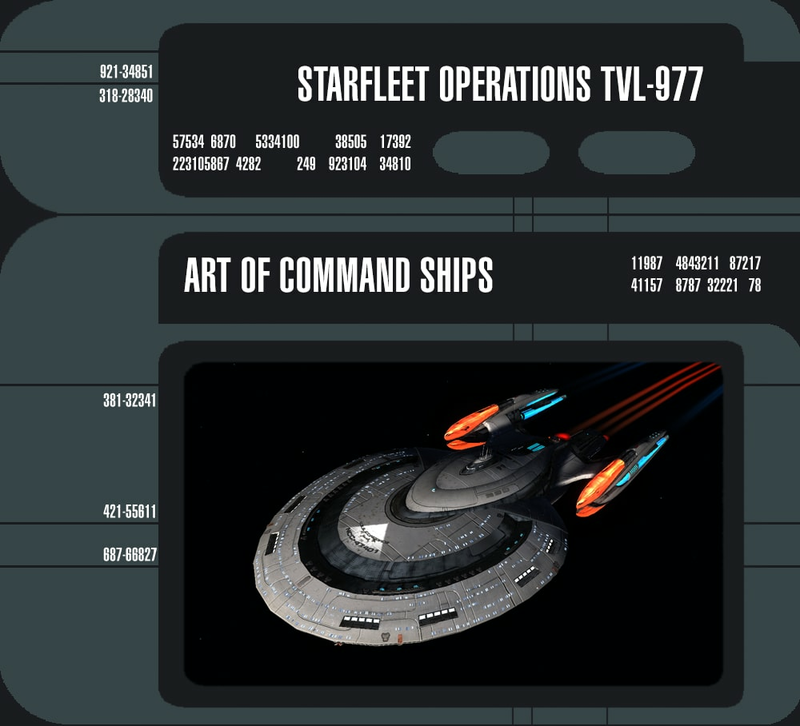 First we (production, art, AD) had to define what the command theme would look like across the Federation, Klingons, and Romulans. It couldn’t be too visually overwhelming, but had to be noticed right away and also had to be multi faction safe. We did a lot of research and arrived to the conclusion that given the command powers nature, we were going to use a mixture of the Airborne Early Warning and Control Radars and Navy Carrier’s Control towers visual language as the theme for our command ships. In the case of the Federation ship we went the extra mile by creating a new configuration to the familiar saucer, nacelle, hull and neck geometry. Have control tower indications like antennas, etc. 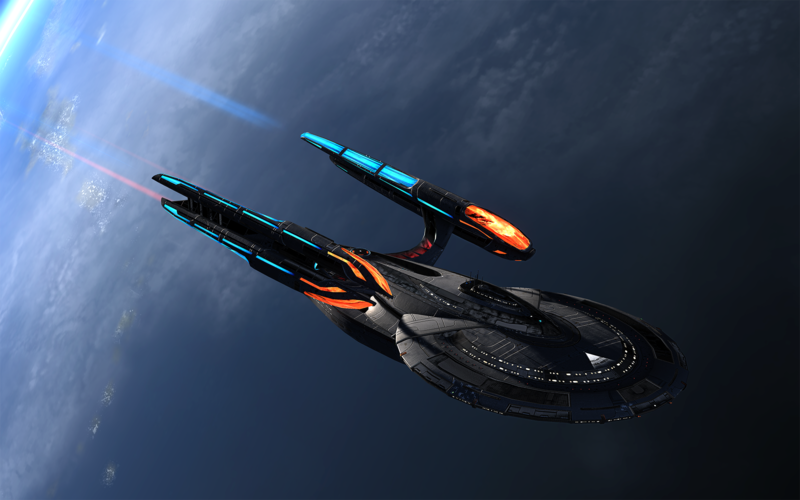 Have 4 nacelles, but must look like a 2 big nacelles split in two. After the command theme was clearly defined we then proceeded to the sketching part. This is the most difficult stage since here is where we define the overall shapes. This is usually how our process starts. Many ideas are tossed together regardless if they work or not. The idea is to draw anything that comes to mind. The ships are drawn in a way that allow us to mix-match their individual parts with each other. That process is called “kit bashing” and it allow us to find unexpected, but solid combinations from the drawings we really like. The favored combinations are then put aside for later refining. At this point we should have a concrete idea of the overall look if the ship. In this instance the chosen ship layout was the one circled red in the previous picture. From this moment forward I do 3D mockups of the ship… Many of them. Once the rough shape of the ship has been blocked I then proceed to paint on top of it in Photoshop. This gets rid of tedious perspective matching / making and allows me to go deep into design. This technique is also great for sanity saving purposes! Many accurate iterations can be achieved really quickly with this production method. 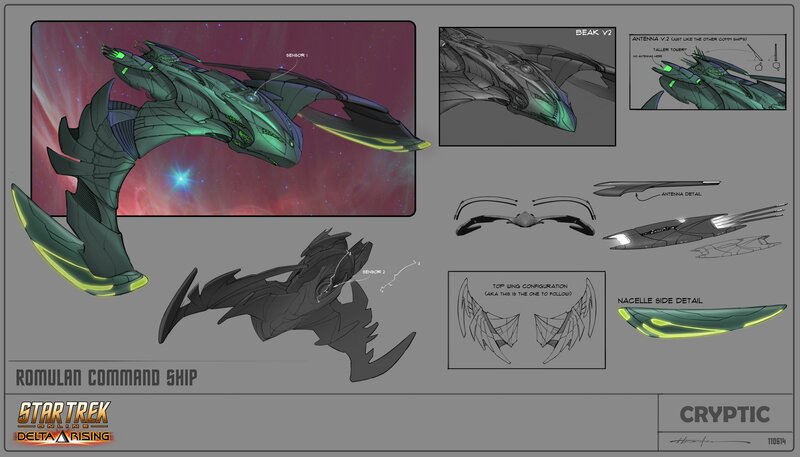 As soon as the ship is designed its different component renders are assembled into a production deck, which is just a fancy term for a document full of drawings, blueprints, indications and annotations that are given to the 3d artists. Once this deck is approved the ship goes into full production. Then the final product is done. Depending of need the final 3d piece would look like the concept or might only use it for inspiration. 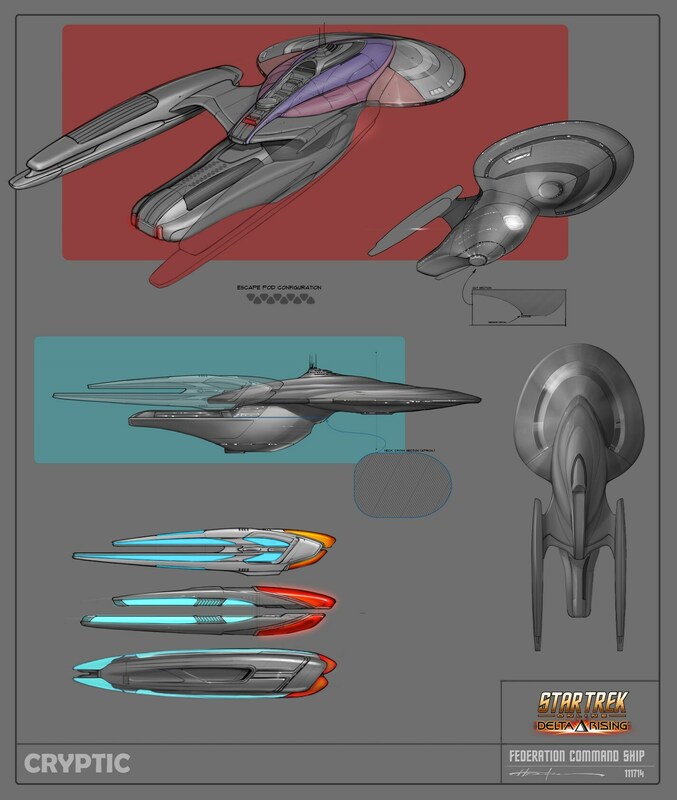 The ship artists then extrapolate the concepts to generate variants and those customization options everybody loves! The KDF command battle cruiser’s main purpose (visually speaking) is to look like it can take whatever the enemies can throw at it. It’s also the kind of ship you want in your fleet to boost morale during battle. 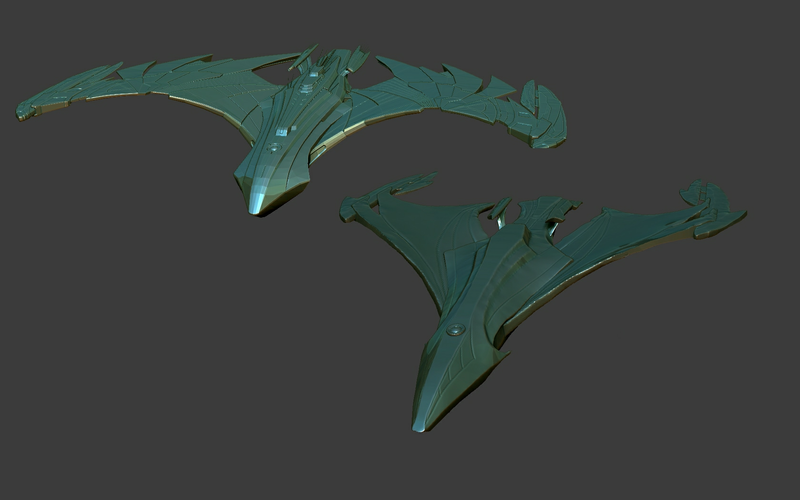 Like its main inspiration, the Bortasqu’ it features a stocky hull and short wings. Its quad nacelle configuration allowed us for the first time, to split the wings and then use the space in between to create two hangars / shuttle bays. The overall control tower design borrowed heavily from Nimitz-class aircraft carriers and their clearly defined multi levels and window rows. Many configurations were tried before we settled for the actual production models. Also, no matter what we choose as the final ship, some parts should be interchangeable among them. 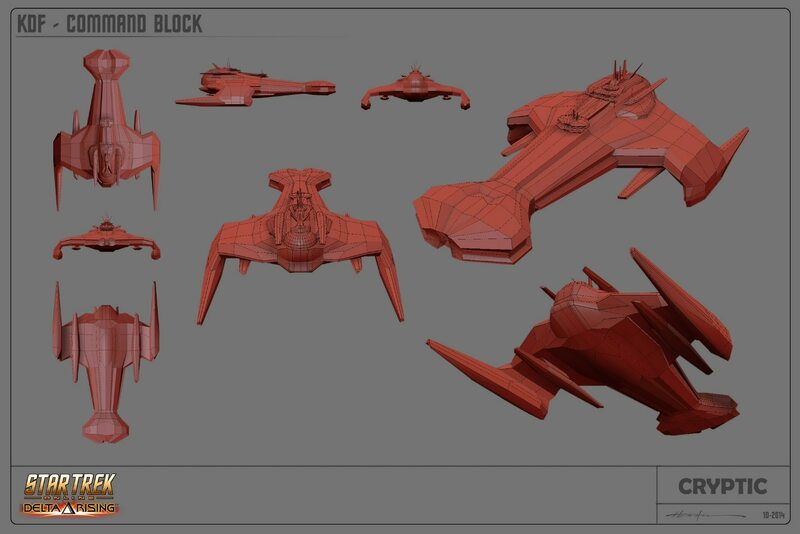 The following 3d blocking picture helped us determine very early on if the chosen configurations really do work. This step is really important since it allow us to fix and improve things before we put a team of people to work in something that might not work eventually. 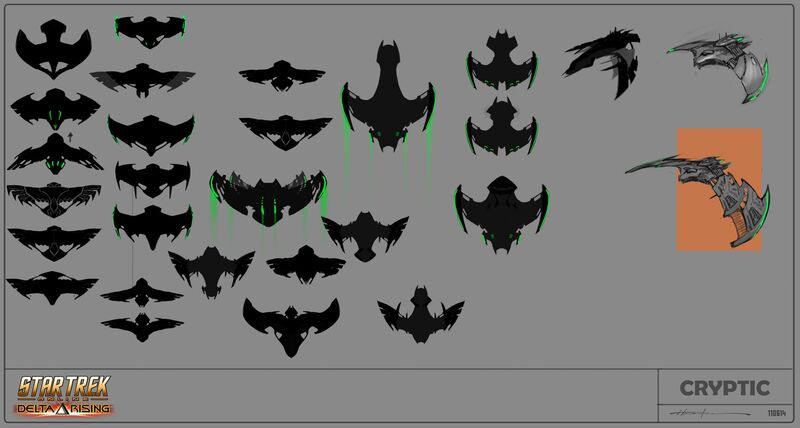 In the final production deck (AKA the next picture) we added some variants for the ship artist to choose and improve upon. The ship’s materials are usually left to the ship team with me just giving some indications early in the process. 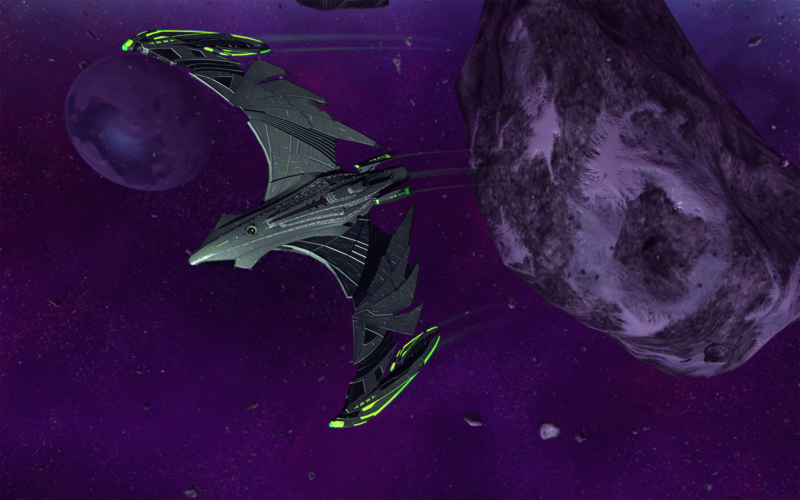 Like all Romulan ships we took inspiration from nature, looking at a lot of birds. The one that stood out for the direction of this ship was an owl swooping in for the kill. We wanted it to feel aggressive and the far forward swept wings really accomplished this. Hector did some amazing thumbnails and we had plenty of directions to go. To hit design criteria of having 4 nacelles for the command ships we concepted second pair of wings with nacelles that went under the hull. We realized that we ended up with something too similar to the ha'apax. So we shifted the design so that the second set of nacelles would be intergrated into the main wing. We made them smaller and attached to the main nacelle. We also completely removed the small wings under the hull. 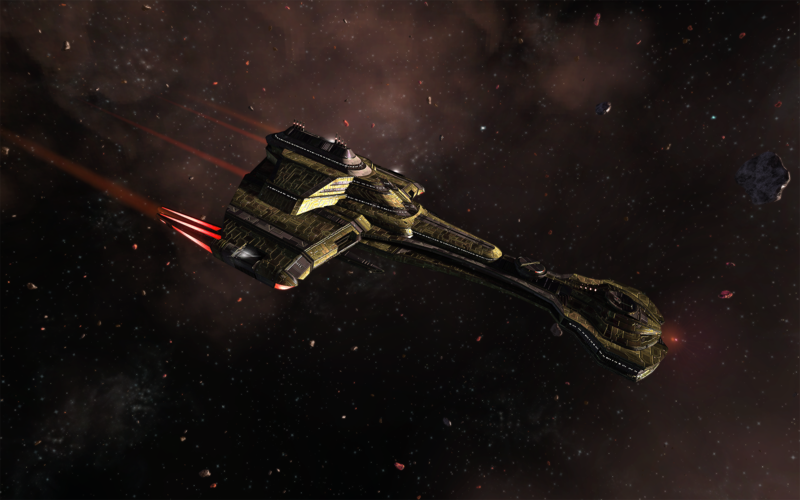 The Deihu really turned out to be a unique ship. 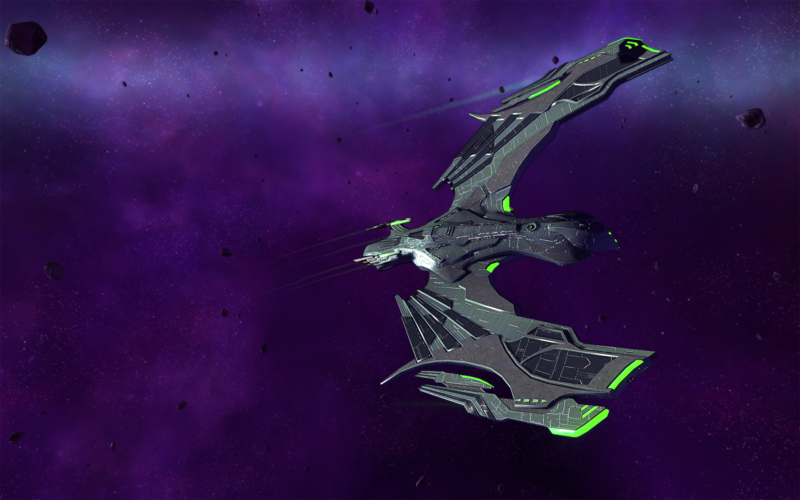 The Romulan Command ships are some of favorite ships that we have designed.